In addition to superior exterior and inter painting, Mars Painting provides window glazing services. We love to work on the older homes that we have in the area. 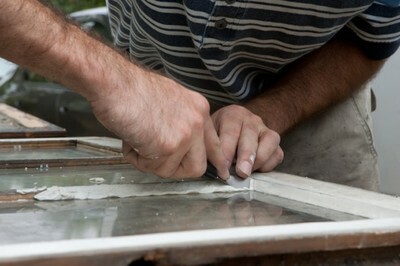 Over time, the glazing compound around windows becomes brittle and begins to crack and fall off. This is normal house wear and tear, but single pane windows can last for 100+ years if properly maintained. Our process for glazing windows will keep them looking great while improving your home's insulative properties. If you want to save money by glazing your old windows, rather than replacing them, call Mars Painting for a free, no obligation quote. The area's preferred house painter is also skilled in glazing windows and increasing the beauty and functionality of older windows. Our process is sound and prices are fair. We'd be happy to work with you to improve your home.